You've have been waiting for your wedding day since you were little. You are finally engaged and have the partner of your dreams, but now, you need your favorite girls by your side. A popular trend taking over the bridal world is bridesmaid gift boxes, and we are obsessed! 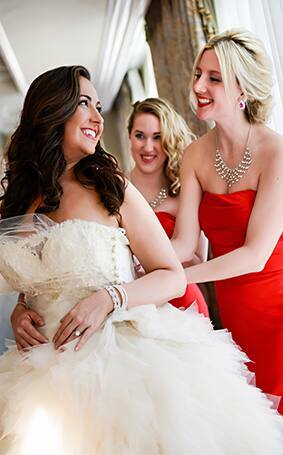 It is a creative and a personalized way to ask your friends, "Will you be my bridesmaid?" 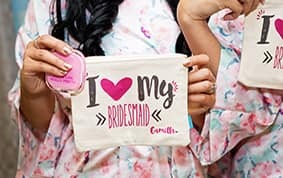 Many brides use this opportunity to treat their soon-to-be bridesmaids to fun, chic and thoughtful gifts they can use for their wedding day and beyond. 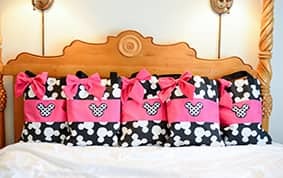 From matching robes and slippers to coffee mugs and personalized jewelry, you can surprise your girls with the perfect gift. 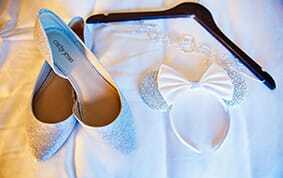 Every moment of your wedding day will be captured to remember for years to come. Make sure you and your girls look your best! 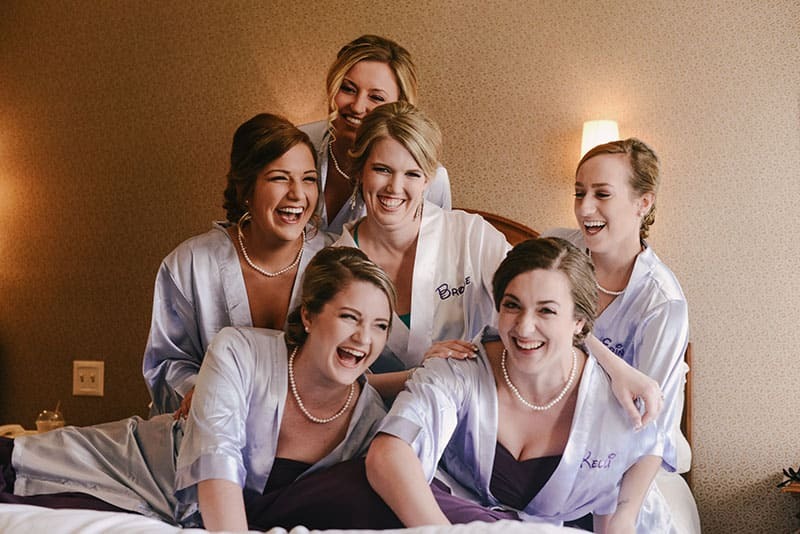 From bridal flip flops and matching slippers to monogrammed robes and Disney T-shirts, there are tons of ways to ensure you look stylish in all your pictures! 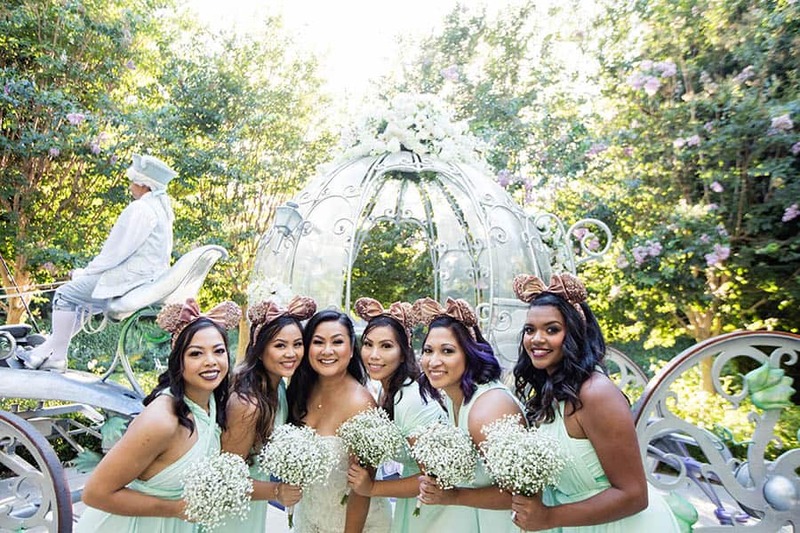 You can even snag a pair of Minnie Ears for each of your bridesmaids to add a magical touch! 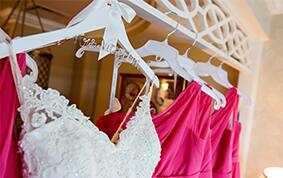 Besides gifting chic clothing, you can give useful and practical gifts specific to each of your bridesmaids personalites. For your friend who loves her coffee, gift a Disney Tumbler or Coffee mug. A Disney cell phone case is essential for your tech savvy friend. While your glamorous gal pal could receive an elegant piece of jewelry or beauty bag. ShopDisney even offers a large selection of items to be personalized. Whether it is something small or something a little bigger, you can find the ideal gift for your friend!